Everybody knows how much my kids love being outdoors. Whatever the weather they want to be outside and while we do try and visit parks and woodland frequently, we spend most of our time in the garden. 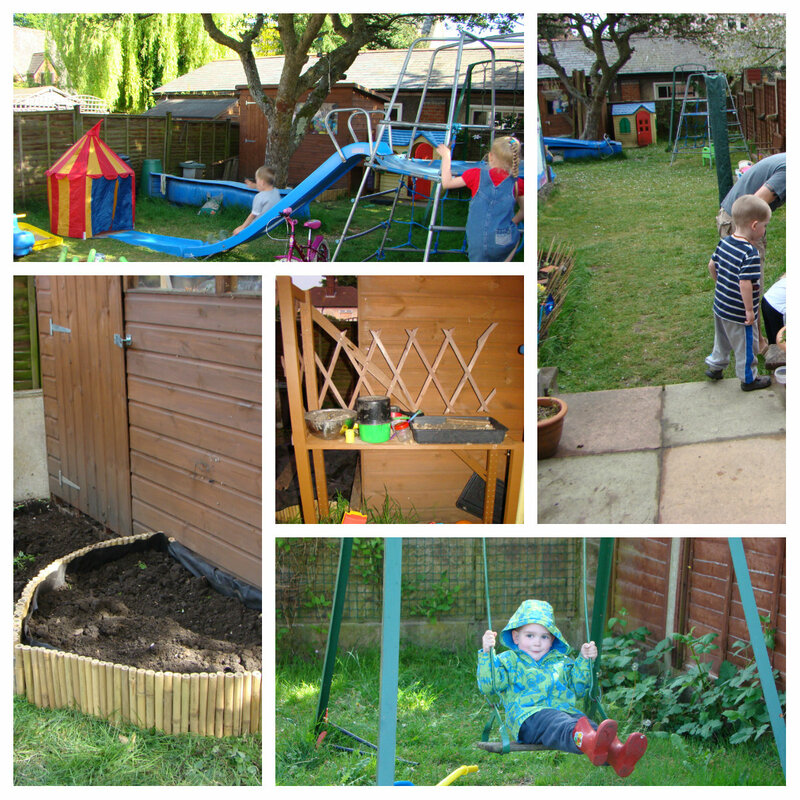 The kids have got their bikes, the swing and climbing frame, playhouse, sandpit and this year we have created their mud patch and mud kitchen. We also have our borders for growing flowers and vegetables. This year we are growing lots of butterfly and bee friendly flowers next to the pond and in the “home grown” side we’ve got peas, green beans and shallots alongside the usual strawberries, rhubarb and blueberries. 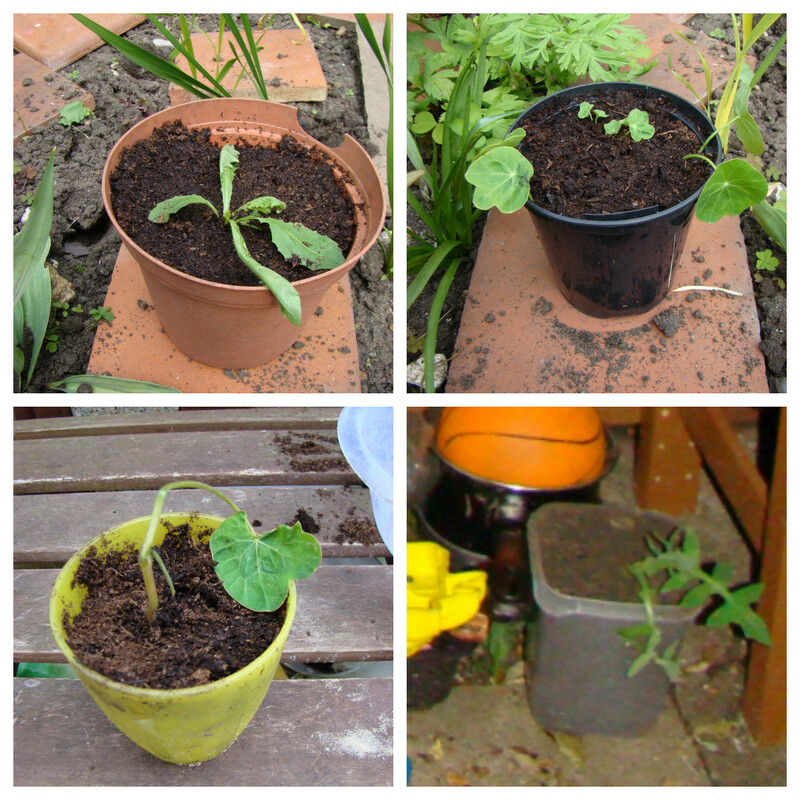 In pots we are growing tomatoes, courgettes, spring onions and potatoes. But this side of the garden, the growing, is usually done by me. The kids like planting seeds and they especially love eating the home grown fruit and veg, but the bit in between.. well that tends to get forgotten! Or they try and dig the veggies up because they are looking for worms. That happens a lot too! So when I saw Moneysupermarket #KidsGrowWild challenge I knew this would be just the thing for us; just the thing to get the kids growing their own plants and not digging mine up! When the kit arrived there was great excitement! In a handy carry bag there was a hand fork, hand trowel, a metal watering can, a pair of gardening gloves and three packets of seeds. So, first things first, we needed plant pots for them. We have loads of spare pots in the shed but they were all too small as it seems someone had used all the large ones to plant tomatoes, courgettes and spring onions in! A quick shopping trip put that right and we were ready to plant. 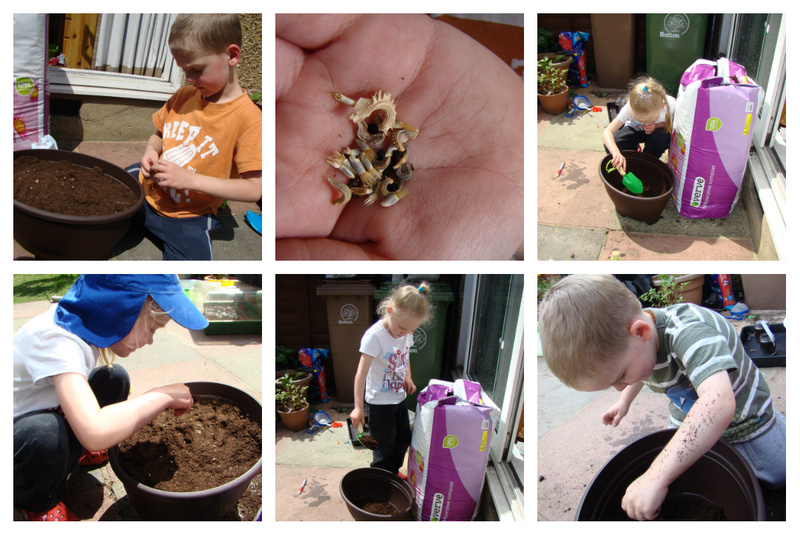 The kids set to work filling their pots with compost and choosing what seeds to plant. With the kit we got pansies, sunflowers and a “pretty flower family” mix and I also let them choose from a small selection of seeds I already had. Thomas chose the “Pretty flower family” mix and some pansies, Jasmine choose some cottage garden pots and containers flower seeds that I had and also planted a sunflower seed, and Ben chose to grow some lettuce and a selection of flower seeds. Once planted, they watered them and have been very good at checking them since! I feel I need to write a quick nota bene here. 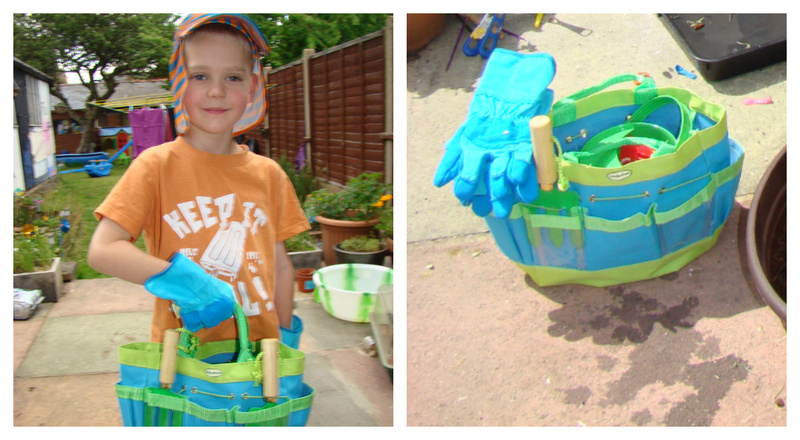 Thomas and Jasmine were very excited about the gardening gloves and both wore them.. right up to the time they started filling their pots with compost. Then they took them off and just used their hands! My kids really do love a bit of mud! They have also developed a love of planting things in pots. At least twice in the last couple of weeks I have had to provide plant pots and compost for things to be planted! It started off with weeds I was pulling out of the veg bed but I also wanted to move some nasturtiums that have taken over so Jasmine now has some of these in a pot as well! If I don’t provide pots quick enough, they will use any container they can find as you can see! Three weeks on from when we planted the seeds and the kids have done a good job in looking after them. They all have seedlings, although Jasmine and Ben seem to be doing better than Thomas. The sunshine that has been helping the seeds grow has also helped the garden bloom. 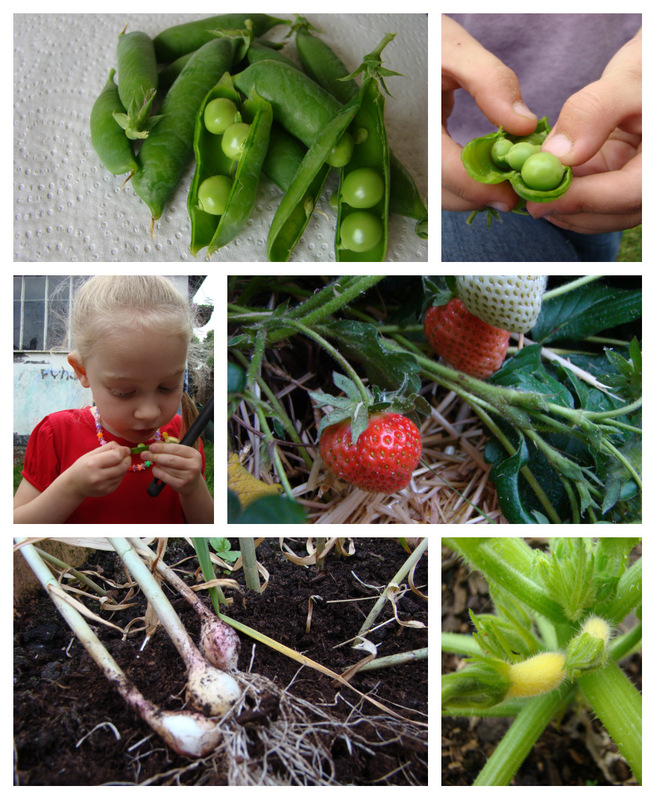 Yesterday we harvested our first peas of the year and we have a couple of strawberries turning red as well. The peas lasted all of 5 minutes before they had all gone. I doubt the strawberries will last that! We love our garden. From making mud pie to eating freshly picked vegetables, from watching bees and butterflies on the flowers to catching woodlice and spiders from the mud and tadpoles from the pond, swinging, sliding, riding, bouncing, climbing, digging and growing. We do love our garden.